capital building . He has also received The Mayor's Award. 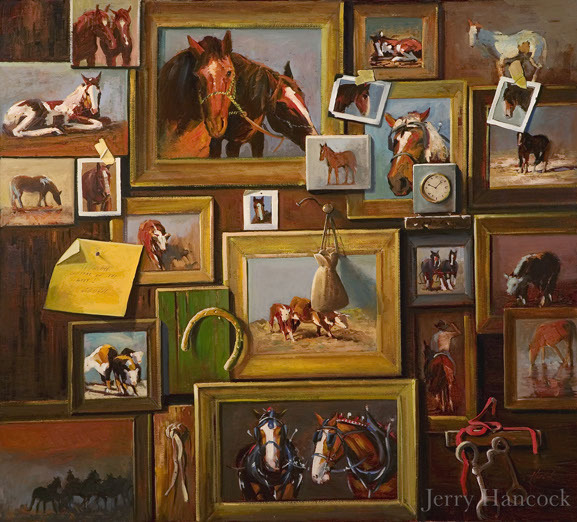 ﻿Jerry paints mainly in oils. 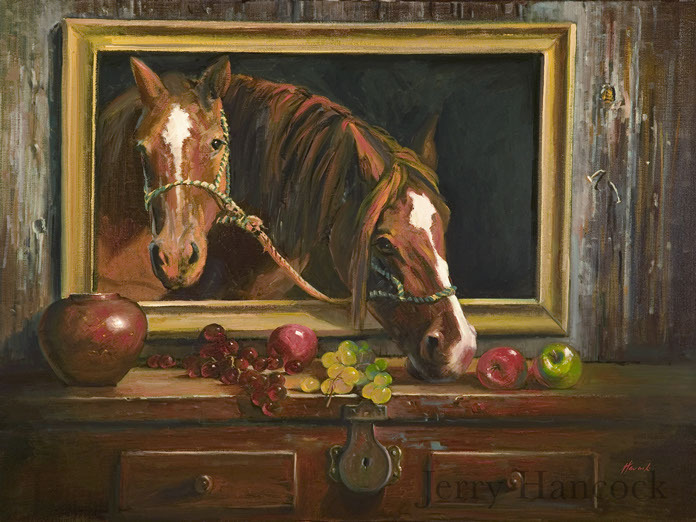 In addition to painting domestic subjects he also enjoys painting portraits, wildlife and still life. 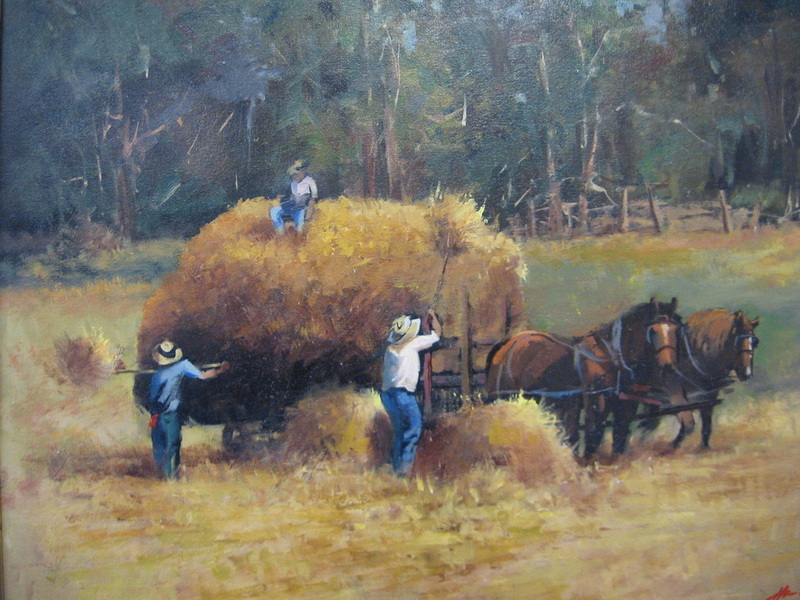 "It should come as no surprise that my subject matter reflects the surroundings in which I grew up. 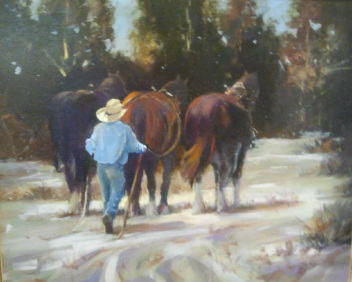 Horses and cattle are a favorite subject. I enjoy the beauty of country life. It is visually appealing, and I enjoy the challenge of preserving its nostalgic quality. There is a spirit and sense of peacefulness in the country that i try to convey to the viewer along with my relation and feelings about the subject." "I've always thought God's creations were incredibly beautiful. 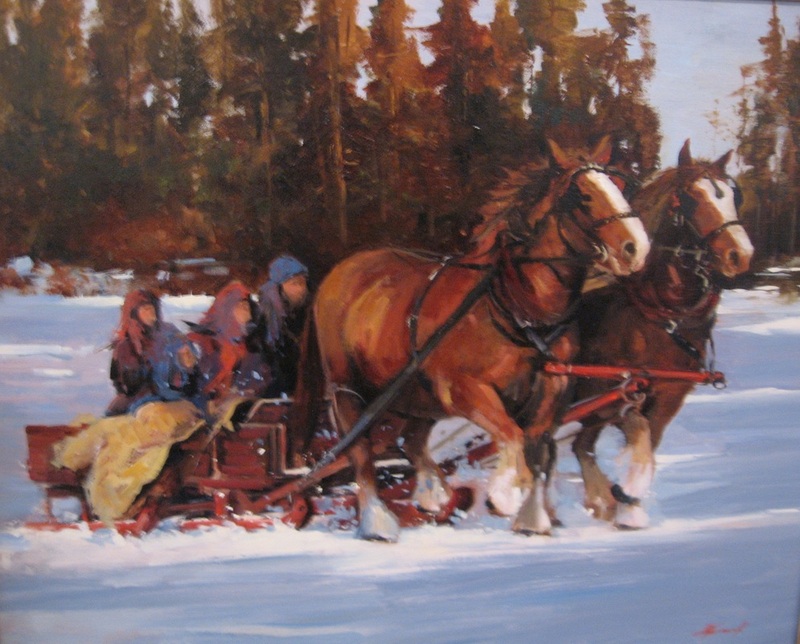 I have also derived inspiration from the work of two exceptional American artists. 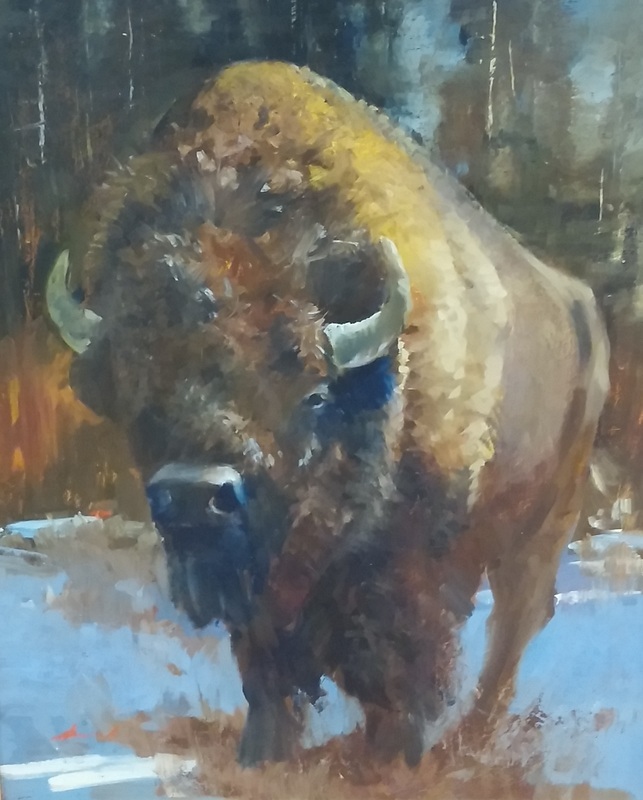 David Leffel and Richard Schmid"
Here's Looking at You - SOLD! ﻿King of the Range - ﻿SOLD !